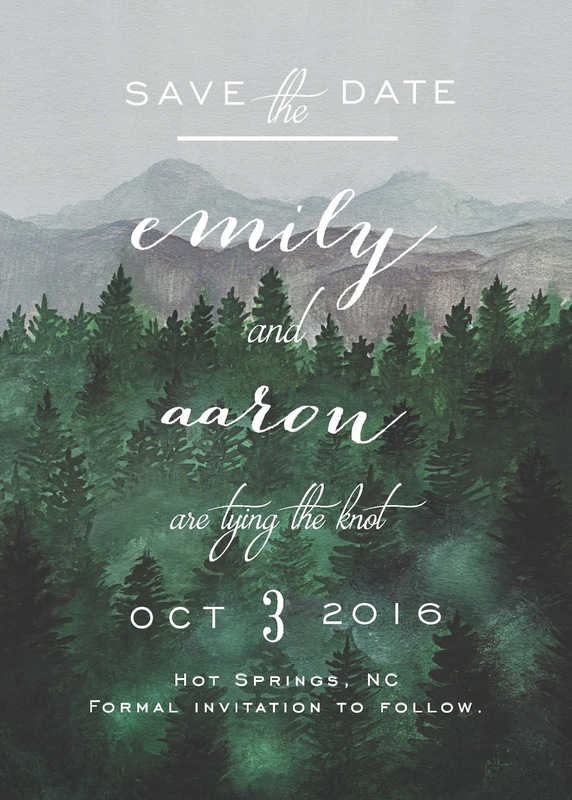 I didn't even consider using anything else when it came to my Save-the-Dates for our wedding this fall. Minted has so many interesting and beautiful options to chose from and so many ways that you can personalize them. I ended up choosing the design above after some input from my mum and best friends...we all felt that it just fit the whole "vibe" of our mountain wedding best. I also selected the speckletone kraft envelopes, instead of traditional white. I picked a coordinating design for the front of them, that matched with the Save-the-Date card design. Minted printed all of my contact's names and addresses on them too! So basically everything was done for me, showed up in a box on my doorstep, and all I had to do was stuff them, put a stamp on, and drop them in the mailbox -- so easy! I also got a lot of compliments on them from the friends and family that we invited! Have any of you ever used Minted for weddings or other events? This is not a sponsored post. All opinions are completely my own. Minted is awesome! Love the ones you have here! Girl, I looooove it! Perfection! I've heard such amazing things about Minted! Oh it's just BEAUTIFUL. And so fitting for an October wedding!!! I LOVE the backdrop. i love it! gorgeous. i wish i had used minted when we were getting married but i didn't hear about it until after. womp womp. These are GORGEOUS! Loveeee. We just used Minted for my baby shower invites and there were so many amazing options - it was so hard to choose!